Orange hair dye is all the rage these days. There are so many great options to choose from, but which one is the best? If you’re al little bit alternative and fancy the rock chick look then orange will give you the alternative look you’re craving. With a good orange hair dye and the correct colour shade you can take your hair from day to bright. The Oranges you can get can range from a coppery ginger tone to a bright neon. How bright depends on how adventurous you want to be. 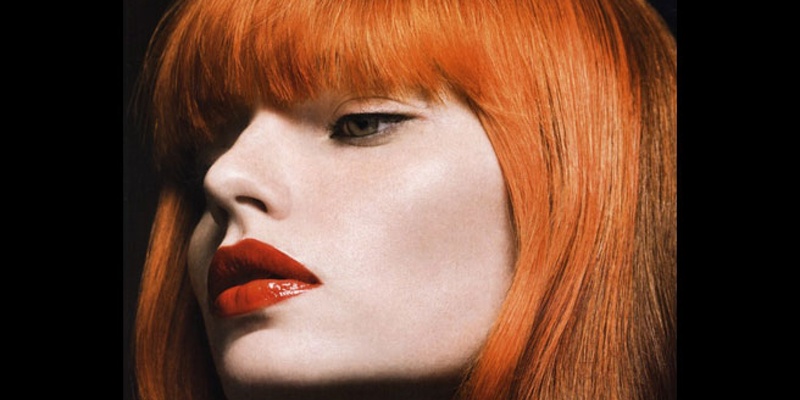 We take a look at 10 of our favourite orange hair dyes to bring you the best tangerine tone. This semi-permanent hair dye is not for the faint of heart. This is an incredibly bright orange, almost Neon. This will give a great highlight effect for dark hair but it will really stand out on pre-bleached hair, in fact it has been known to last around 4 months before another application is needed. On normal hair this will wash out in around 3-4 months after a number of washes. 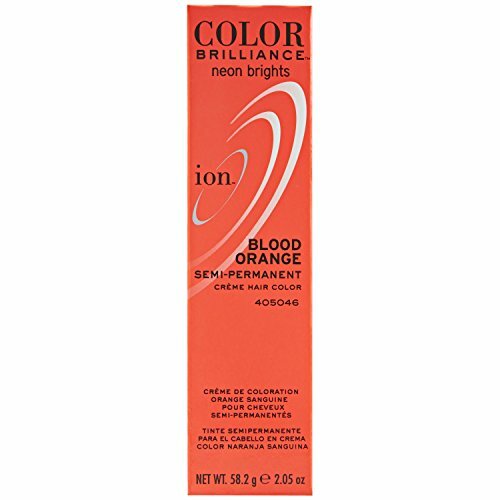 Pick this dye for a super-bright hair colour that’s going to bring some impact! The Crazy Color, Orange no.60 is more suited for bleached hair and will last between 3 to 9 weeks depending on how many times you will wash your hair. This hair dye will add energy and shine to natural-looking hair or glow bright on bleached hair. For the best look, bleach your hair to the yellow stage, apply the crazy color hair dye without the addition of any other substances. A colour-safe shampoo is recommended for this product to keep it looking its best for ages. Lasts between 3-9 weeks on bleached hair, depending on the shade chosen. 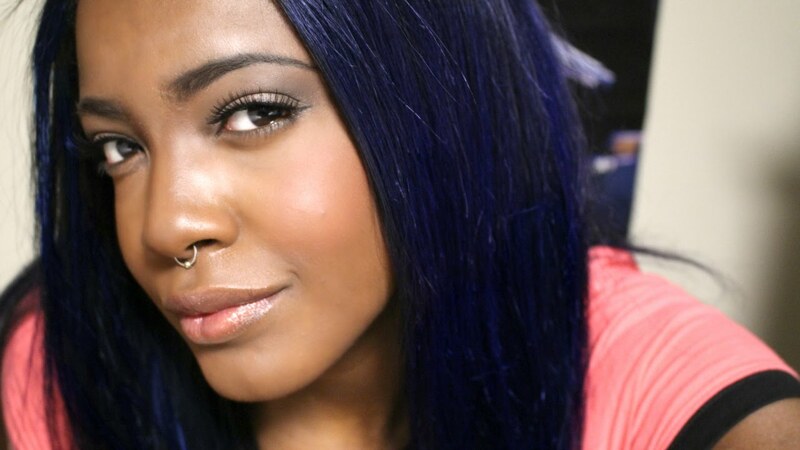 Hair color will add energy and shine to natural hair or glowing colors on light bleached hair. 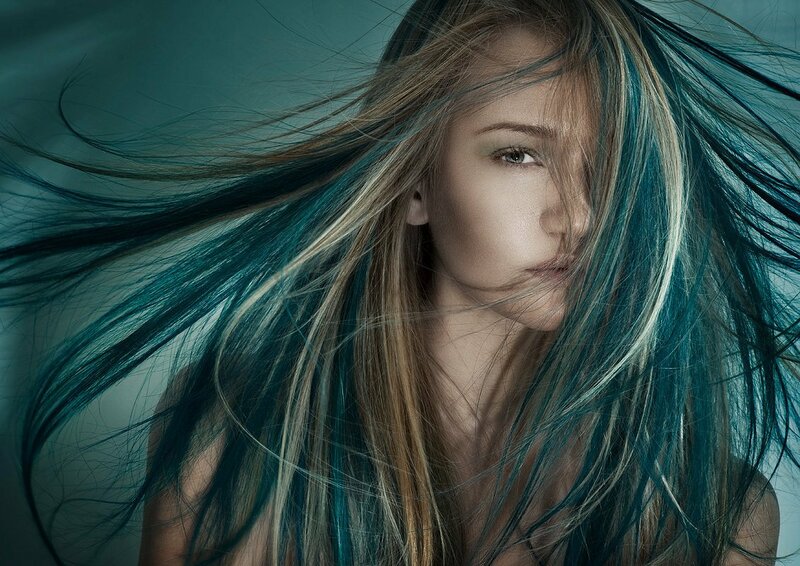 The more porous the hair, the more vibrant and longer-lasting the color will be. 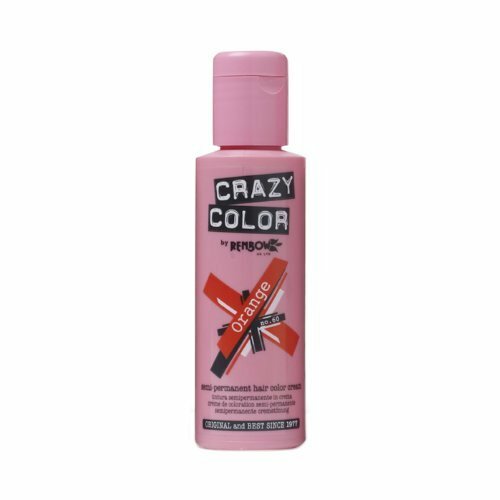 For exotic, vibrant colors, bleach hair to the light yellow stage and apply crazy color cream without the addition of any other substances. 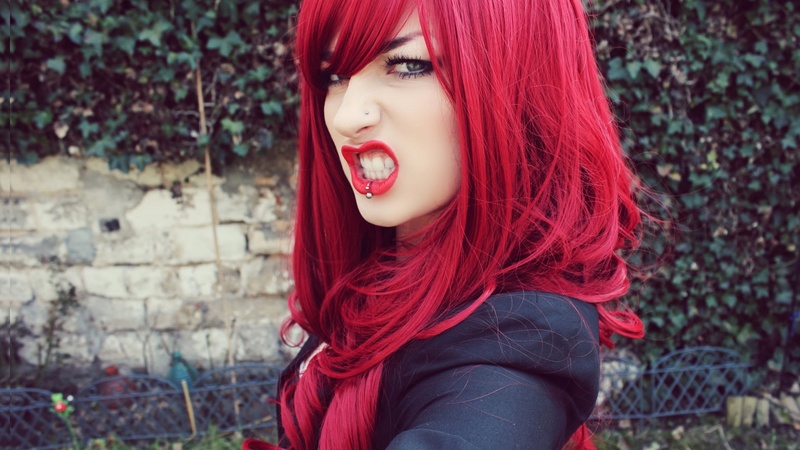 This is a stunning, beautiful-looking hair colour, but you need to work a bit to bring out the vibrancy. Like our other hair colours, it will shine if you add this to freshly bleached hair. 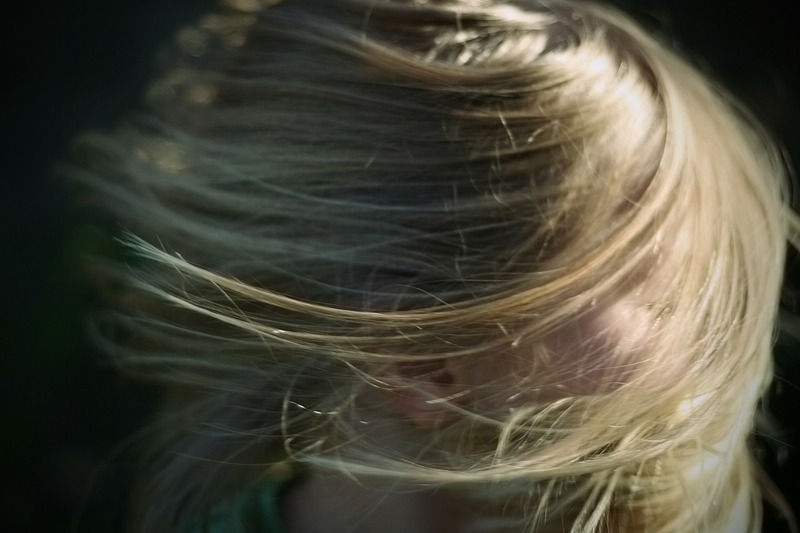 The closest your hair is to white, the better this dye will work. This orange hair dye has no ammonia or peroxide in it and one tube should be enough to do shoulder length hair. 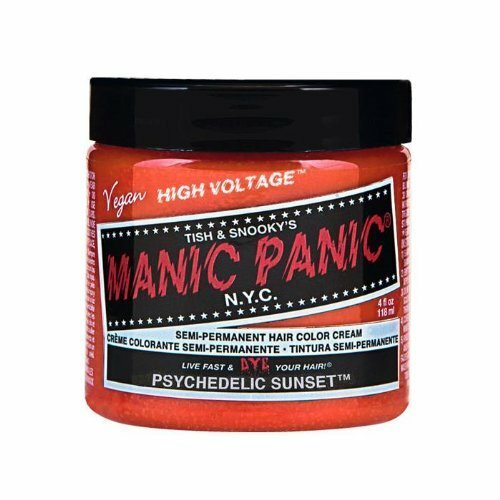 When it comes to vivid, fiery oranges, it doesn’t get much better than Manic Panic. This industry-leading hair dye will give your bangs a real bang. This orange hair dye is so bright people are going to need sunglasses when they stand next to you. This is a semi-permanent orange hair dye and should last around 3-4 weeks before you will need to re-apply. Again, bleached hair will bring out the best in this hair dye. We recommend also purchasing Manic Panic’s hair bleach, which is designed to bring out their best in their colours. This hair dye is so bright, it will glow under UV light! Made in the USA, this semi-permanent hair dye comes in a cream, so it’s easy to rub into your hair. The special effect hair dye also has added conditioner, so it will leave your hair silky smooth and nourished, unlike other hair dyes that can seriously damage your hair. This hair dye will last around 3-6 weeks depending on hair type and will last much longer on bleached hair. This semi-permanent tangerine hair dye is less vivid than other colours but that doesn’t make it any less of a hair dye. This dye comes in a tub as a thick gel and is very easy to apply and coat all of your hair evenly. This hair dye will last around 2-3 weeks before another application is needed. To get the best results, bleach your hair first like the others. Quality you can trust from Sparks. 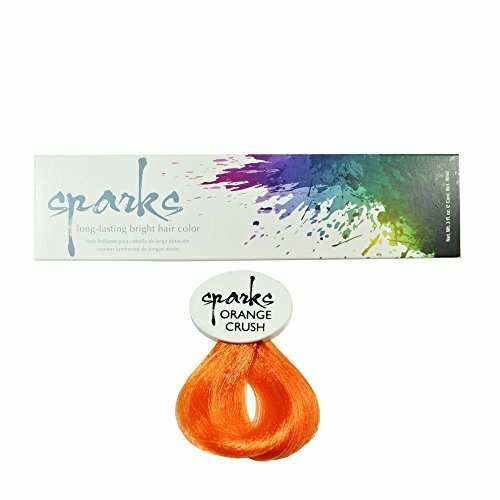 If luminous hair is what you’re after then look no further than the Sparks Bright Hair Color dyes. The Orange Crush dye brings out a stunning shade of orange that will really turn heads. This is a high-quality, salon-grade hair dye that comes with easy step-by-step instructions to make sure you get the very best from your product. 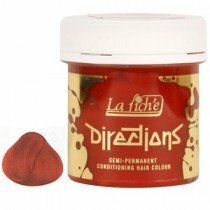 To achieve maximum colour results and long-lasting retention, follow their directions for processing time. This hair dye also conditions hair as it colours, leaving your hair silky smooth and feeling healthier. 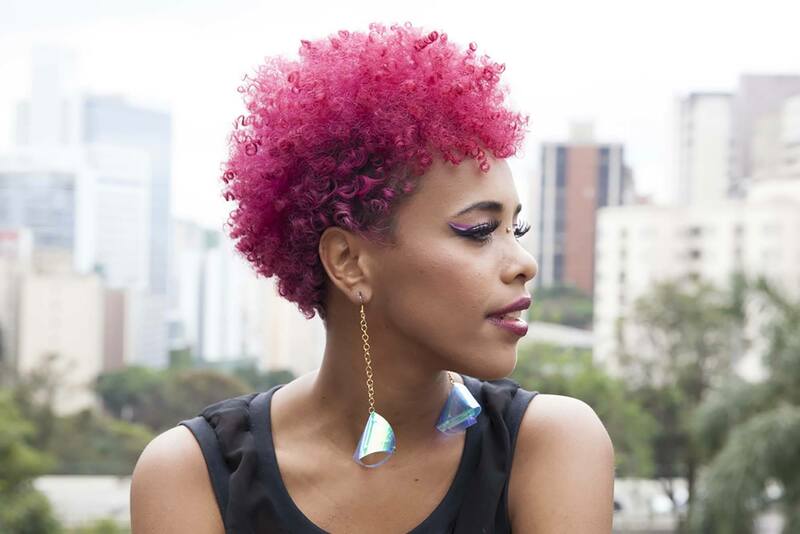 Featured for a second time on our list is Manic Panic. So good we had to include two colours! 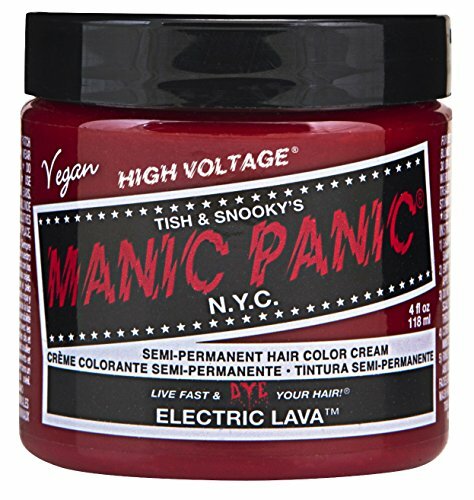 PPD, ammonia, peroxide and paraben free, this Manic Panic hair dye is vegan friendly and cruelty free. This hair dye requires no mixing, so take it straight from the tub into your hair. This UV-reactive hair dye will last around 4 to 6 weeks and will work best on, you guessed it, bleached hair. 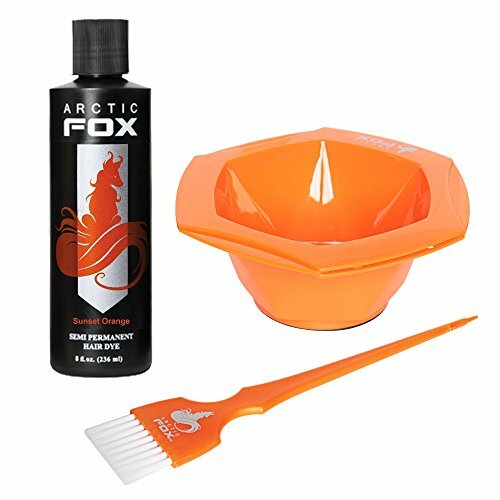 Artic Fox hair dyes featured no harmful chemicals and are free from and animal by-products. This semi-permanent hair dye is designed for multiple uses and features a sweet scent that smears less than other hair dyes. No Peroxide, Ammonia or Ethyl Alcohol means this hair dye nourishes your hair with conditioner. Adore semi-permanent hair dye gives you vibrant, shining colour straight out of a bottle. With little mess you can get your hair a luminous shade of orange this will make people go wow. 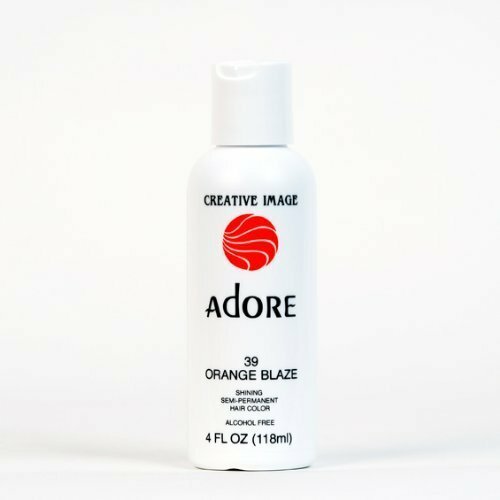 Adore’s innovative dying technology will infused each hair strand with long-lasting natural-looking colour that is bursting with colour. Their exclusive formula features a blend of natural ingredients that provide your hair with rich colour-enhancing shine that will leave your hair silky smooth. 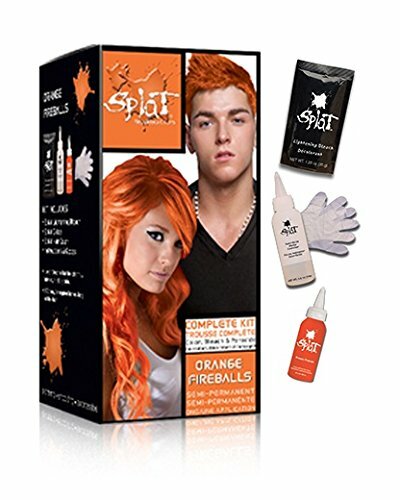 Get rebellious with this orange hair colour kit. This aloe vera based hair dye will give your hair the orange blast you’ve been looking for. Follow the easy guidelines and in one application you can have long-lasting coloured hair that will look fantastic. This hair dye will last around 4 to 8 weeks depending on your hair condition and when it fades, it will leave your hair with a wonderful multi-tonal look.